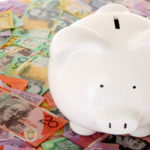 Many financial and investment “experts” will tell you that your home is a liability – a financial burden that costs you in monthly interest repayments and yields little benefit as you sink thousands into maintaining it and paying ongoing costs like council rates. However, there are many long-term homeowners who would disagree, and I’m going to explain why. In fact, I’m going to advise you that buying your own home should be a significant part of your property investment strategy and how your family haven could send you soaring up the property ladder. How many of us have heard stories from our grandparents and parents about the home they bought 25 years ago for $90,000, subsequently being sold for over a million dollars in today’s market? It happens frequently and the best part is; all of that capital gain equates to a tax-free profit. Unlike a property investment, where you have to pay land tax for each year of ownership and a large CGT bill when you realise the asset, the money made on your own home is yours to enjoy in entirety. Not a bad little return on investment is it? This type of scenario would mean that if a retired couple were to sell their home in a bid to downsize, they could purchase a tidy little townhouse in a nice area of their choosing for say $550,000. While they would own the new property outright, they would also have an additional $500,000 plus left over. This could then be invested in either shares or further property (my preference is always bricks and mortar for its stability), to provide a tidy little retirement income that will see them through their golden years in style. The above is a good example as to why it pays to be strategic about where and when you purchase your own home. A well-positioned property in a desirable location will net you a much greater profit in the long term, as this will often be the first powerful asset you have in your investment arsenal. I would go one step further though, and suggest that rather than necessarily having to sell your home to enjoy the financial gains to be had, you can still access all that equity and retain ownership. If you wanted to downsize and enjoy a stress free retirement, your former principal place of residence could become a further investment to add to your property portfolio and you can borrow against it to buy that neat little townhouse closer to the grandkids. The tenants who occupy your previous lodgings can pay the mortgage on your new home and you now have two investments working for you to provide a future income. Ideally, you’ll retire with perhaps seven to ten properties in your portfolio that have all been paid down to the point where they are neutrally or even a little positively geared when you decide it’s time to stop working and enjoy the fruits of your labors. Remember, this property retirement fund is on top of your superannuation entitlements. Not a bad way to ensure you can live that life of luxury when you decide it’s time to quit the rate race is it?